KAMPALA – Kampala Capital City Authority (KCCA) on Wednesday morning took to the Kampala streets and evicted vendors who had taken over walkways. Last week, Kampala Minister Beti Olive Kamya, directed city authorities to evict all vendors off the streets as a way of creating trade order in the city. 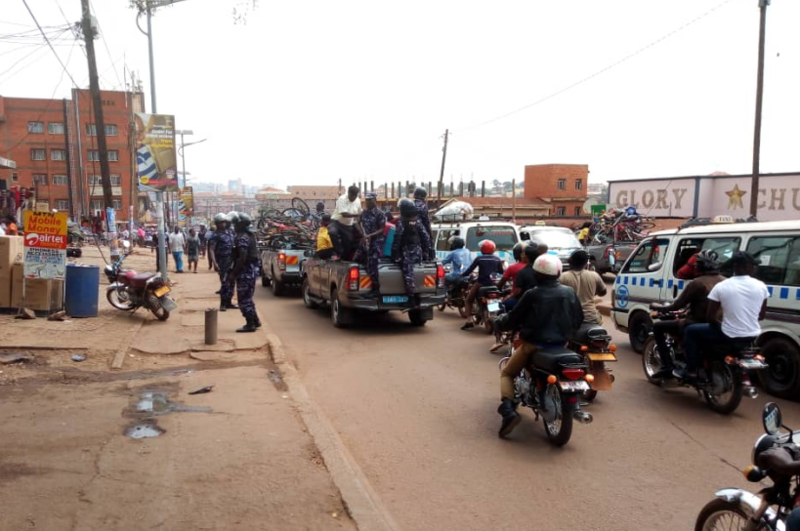 Pedestrian walkways in Katwe, a Kampala suburb have been cleared after the KCCA enforcement team backed by the Uganda Police Force took to the streets and confiscated merchandise of some of the vendors who had not complied to the directive. In an eviction characterised by brutal arrests and fights and running battles, several properties including bicycles, fridges and many other electrical appliances have been seized. Vendors have been seen running with their merchandise whenever the KCCA enforcement and police patrols approached them. Vendors had returned on the streets of Kampala soon after the KCCA former Executive Director, Ms. Jennifer Musisi, tendered in her resignation last year. Taxi operators had also taken advantage of the chaos to establish illegal stages on major streets which caused traffic congestion in the city centre and major roads. Efforts to get a comment from KCCA’s Peter Kaujju about the ongoing evictions and confiscations have been futile. One vendor told KCCA enforcement officers that they should allow them to operate on the streets because rent in the city is too high and that they pay taxes too.